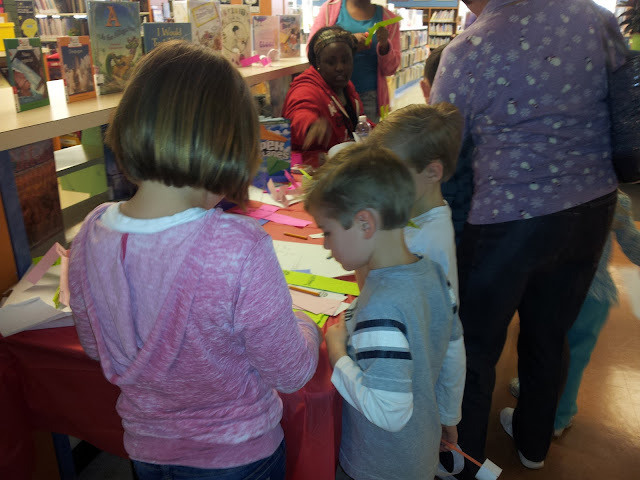 Yesterday, I took the littles to the library for "The Paper Airplane Challenge." It was fun to learn to make several different airplanes, and even a helicopter! When we walked over to the final table to make the helicopter, a sweet little girl asked the boys, "Do you need help?" I love seeing children of different ages working together and teaching each other. I get the opportunity to witness something truly precious and untainted in human nature. Mama Monday - The "Hey Mommies"